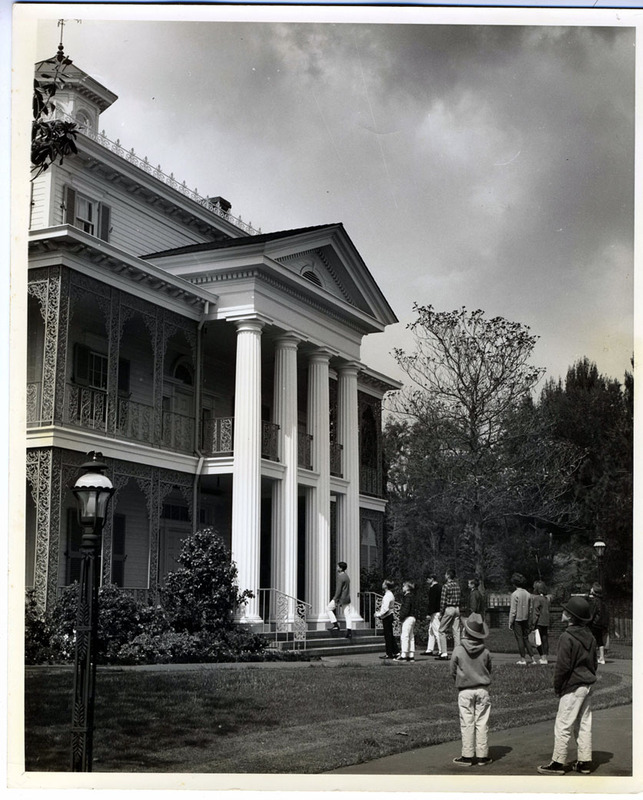 This hub page at the web blog "Passport to Dreams Old & New" gathers up all of this site's published content covering the topic of Disney's Haunted Mansion attraction. Marc Davis' Adventure House - June 2018 - extensive overview of an unbuilt attraction intended for Fort Wilderness, a sort of walk-through Haunted Mansion. Raising - Or Lowering? - the Dead - October 2013 - a full overview of the design evolution, style, and technical details of the Magic Kingdom Haunted Mansion facade and stretch rooms. Riding the Haunted Screen - January 2013 - covers details of the attraction's antecedents in the form of popular horror films from 1915 to 1965. Begins with an expansive outline of the development of the genre, before proposing two key films as inspiration. On Integrity - February 2012 - includes a section on changes made to the Walt Disney World Haunted Mansion in Summer 2007. Passport to Dreams Year-End Report for 2011 - January 2012 - includes a section on the controversial interactive queue added to the Walt Disney World Haunted Mansion in March 2011. Start to Shriek and Harmonize - October 2011 - on the origin and details of the infamous "pop up ghosts" in the Haunted Mansion's attic and graveyard scenes. Also on the classic dark ride origins of the Haunted Mansion in general. 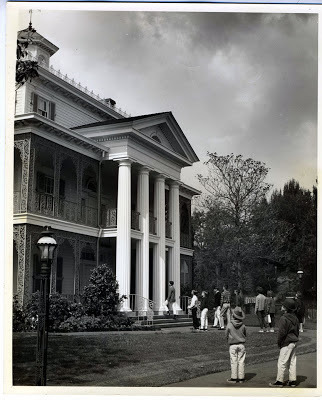 History and the Haunted Mansion - May 2010 - essay on the visual and historical influences of the Haunted Mansion, placing it inside a larger American phenomenon of Spiritualism. Thoughts on the Haunted Mansion - December 2008 - on the attraction's balance of tone between funny and scary. Phantoms of Influence - May 2008 - the Gaston LeRoux novel The Phantom of the Opera and how it was adapted into the Haunted Mansions sister attraction, Phantom Manor at Disneyland Paris. Two by Yale Gracey - February 2008 - two special effects used in the Haunted Mansion and how they are done. In Doorless Chambers - October 2007 - a series of three posts laying out the first approaches to a favorite attraction, much of this information has now been eclipsed by the new series of much more throughly targeted approaches from May 2010 on. They are archived here for completeness' sake.